How do I remove the spool on my Nautilus fly fishing reel? The spool release cap (the cap with the Nautilus Reels logo/shell on it) needs to be turned counter clockwise. This screw cap stays on the spool. Once you feel it is completely loose, pull off the spool. How do I maintain my CCF-X2 and X Series Fly Fishing Reel? CCF-X2 and X Series Reels are made to perform in all conditions. After use in salt wash off your reel in the sink or with a garden hose. Do not use too much pressure as this only drives salt deeper into the core of your backing. The right amount of pressure to wash your reel with is the same pressure you would wash your hands with. Take the spool off the reel and rinse the spool thoroughly. The frame (housing) just needs to be lightly washed down and set to dry. Dry is the key term. Do not store your reel wet. Let the reel sit in a warm place for a week before packing it up. How do I maintain my Nautilus NV-G Fly Fishing Reel? Nautilus fly fishing reels are very easy to maintain. After an outing to salt water, remove and rinse the spool and housing lightly with tap water. Allow ample time for the reel and spool (with line and backing) to dry. 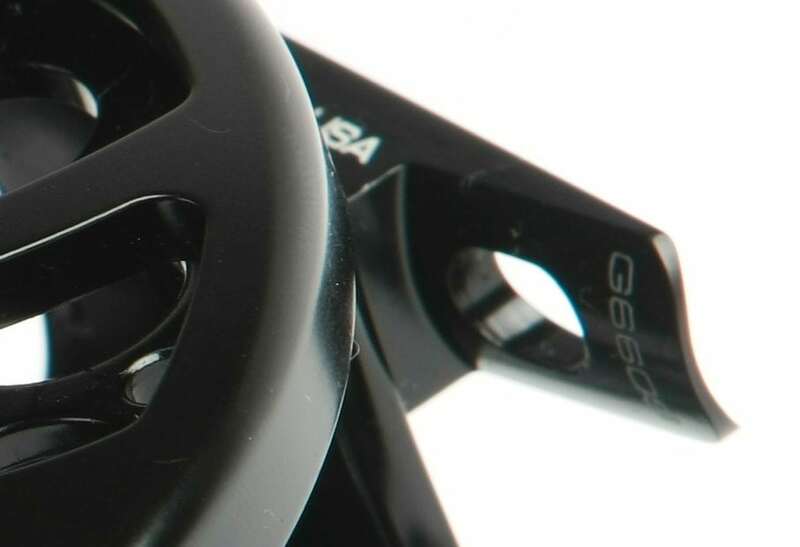 Our sealed CCF drag system is maintenance free, but keep in mind that the reel is built to precise tolerances, and if you do not wash the spool off after several outings in salt water, salt may cake up the reel and seize the spool to the housing. While not required, feel free to apply a light coat of oil to the center hub. How do I change retrieve direction on my Nautilus CCF-X2 or X Series reel? The Nautilus CCF-X2 and X Series reels can be switched from left hand to right hand retrieve very easily. 1. Turn the drag to minumum. 2. With the supplied 1/16″ hex key loosen the three stainless hex screws on the base of the brake hub. 3. Pull the brake hub off and look inside at the top of the brake hub. 4. Attached to the drive shaft will be a one-way clutch bearing that you need to twist off, turn over and reapply. 5. As you place the hub back on make sure the O-ring is still in the hub and that it does not fall out. Spin the op of the brake to align the one way clutch bearing with the drag plate. 6. Align one hex screw with the middle of the line guard (pointing straight down) and press down on the brake hub while tightening the 3 screws back into the hub. Keep your hex tool clear off the frame to aviod scraping the anotizing or place a protective cloth between the frame and tool while tightening. Where is the serial number located on my reel? The serial number on reels made prior to 2014 is laser engraved into the underside of your reel foot. When on the rod, the reel seat will entirely cover the serial number. Newer reels have the serial number engraved on the back of the reel foot. Can I change my Nautilus NV-G fly fishing reel from left hand retrieve to right hand retrieve? Nautilus NV-G reels are available in right hand or left hand models only. In order to preserve the integrity of the parts that are sealed inside the center hub of our maintenance free fly fishing reels, Nautilus reels are strictly left-hand or right-hand retrieve models. The RH/LH mechanism is housed inside the center hub of the reel. We urge you not to attempt to change the direction of the retrieve yourself, since attempting to open the center hub will not only damage the reel permanently, but will also void the lifetime warranty. Should you require to have the retrieve direction changed, take the reel to your local Nautilus dealer who will have center hubs in stock and will switch it for you in less than five minutes. If you prefer, you can send the reel in its original packaging directly to our factory (Attention: Service/Repairs) and request a conversion, and we will convert the retrieve direction for you. Please include a $45.00 money order or check for shipping and handling. Can I use Braided or Gelspun backing on my fly fishing reel? Yes. Braided and gel spun lines have become a very popular alternative for fly line backing. All Nautilus reels can be loaded with gel spun and braided lines. We recommend 50 lb. gel spun or braid to replace 20 lb. backing, and 65 lb. gel spun or braid to replace 30 lb. backing. This should enable you to double the backing capacity of your fly fishing reel. My Spool Release Cap is Tight. How can I get it off? If the Spool cap has been over tightened and feels stuck you need to apply hard and constant pressure anti-clockwise. AS you apply maximum pressure to open it will slowly but surely start to creep and loosen. Use a thin rag for better grip and to protect your fingers. Can I change my Nautilus X Series fly fishing reel from left hand retrieve to right hand retrieve? Yes. The operation is very simple. : 1. Turn Drag to minimum. 2. Loosen the 3 screws that fasten the brake hub to the frame with the supplied 1/16th” allen wrench. 3. Remove brake hub and flip over the one-way clutch that is attached to the drive shaft inside the brake hub. 4. Reassemble making sure that the one way clutch aligns into the drag plate and that the o-ring remains in place against the outer rim inside the brake unit. How do I maintain my Nautilus X Series reel? When used in fresh water, just make sure it is dry before storage. To dry, remove the spool from the housing and let dry for a day or two. If used in salt water, wash down with fresh water and dry all fly reels thoroughly before extended storage. DO NOT oil the reel anywhere. If the TPX bushings are exposed to petroleum based oils or greases they will swell and make reeling tight. Our reels are designed to be basically maintenance free, so please do not over-maintain these reels. They are designed to be fished. Hard. Can I use the Nautilus X Series in salt water? Yes. You can use the X Series reels in salt water. After use in salt water, wash the reel well with fresh water, and dry it thoroughly before extended storage. None of the information submitted to us by customers in the Help Desk or Accessories section of our website are shared with third parties..